Sales have not been uniformly strong for IT, but there have been enough upbeat reports pouring in from vendor and market research companies to buoy overall confidence in tech. After the Nasdaq computer index sank Thursday on weak economic news, it bounced back Friday as Intel shares hit a 10-year high on its announcement that business PC sales have been greater than expected. Intel shares hit US$29.81 in afternoon trading, up $1.85 for the day, while the Nasdaq computer index rose 11.82 points to 2,194.82. All major U.S. indexes were also up for the day. The Nasdaq computer index is up almost 7 percent for the year, despite mixed sales reports. Intel’s news could be big for IT as a whole, because hardware has been tech’s weak spot. Gartner has issued a forecast that calls for a 6.6 percent year-over-year decline in PC and laptop shipments in 2014. What’s more, the 276.7 million PCs that are expected to be shipped to retailers in 2014 will drop even further, to 263 million units, in 2015, Gartner said. But Intel said Thursday that it expects to report revenue of $13.7 billion, plus or minus $300 million, for the current quarter. The company’s previous guidance was $13 billion, plus or minus $500 million. ”Intel now expects some revenue growth for the year as compared to the previous outlook of approximately flat,” the company said in a statement. The upbeat forecast from Intel could be short-lived, some analysts said. The PC market could be getting a short-term boost as companies replace machines based on Windows XP, which Microsoft stopped supporting two months ago. Still, the Intel note was uplifting. While Canaccord Genuity, for example, maintains that Intel’s long range prospects still face hurdles in sectors such as mobile, where rival ARM is strong, it raised its target price on company shares to $31.00 from $29.00. “We adjust our estimates higher to reflect this enterprise PC strength and the positive impact to margins from leverage,” wrote Canaccord Genuity analyst Matthew Ramsay in a research report. 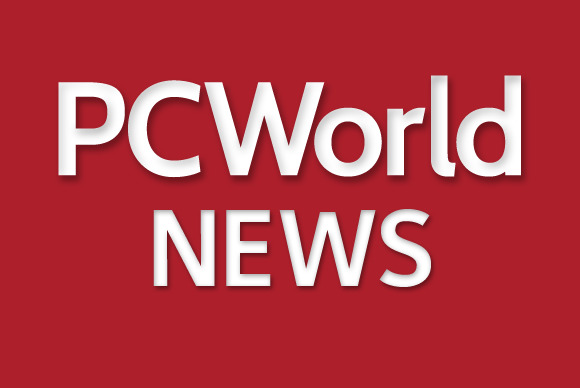 Earlier in the week, IDC said that the Middle East and Africa PC market will end “a dismal run of seven consecutive quarters of year-on-year declines” in the second quarter by posting long-awaited growth of 3.2 percent year over year. The report is especially welcome after the first quarter, when overall PC shipments in the region were down 8.3 percent year on year to total 4.8 million units, IDC said. The report is notable because emerging markets are key to overall sector growth. There was also good news on the smartphone front this week from eMarketer. The market research company said that by the end of 2014, it expects 1.76 billion people to own and use smartphones monthly, up more than 25 percent over 2013. “By 2015, we project that 15 countries worldwide will have seen more than half their populations adopt smartphones,” said Monica Peart, senior forecasting analyst at eMarketer. That’s important because a slowdown in the growth rate for tablet and overall mobile phone sales, together with economic uncertainty in emerging markets, are expected to put a damper on global IT spending. IDC said overall IT spending this year will increase 4.1 percent in constant currency to $3.7 trillion, a slowdown from last year’s 4.5 percent growth. On the online front, there was positive news for Internet companies this week. U.S. Internet advertising revenue reached $11.6 billion for the first quarter of 2014, up 19 percent year over year, according to a report from the Interactive Advertising Bureau (IAB) and PwC US. “These Q1 revenue levels speak to digital’s unique ability to identify the most relevant audience segments and deliver powerful results,” said Sherrill Mane, Senior Vice President, Research, Analytics & Measurement, IAB.